In some ways I was fortunate. We received the diagnosis that my son has Asperger’s Syndrome, a high-functioning form of Autism, after we had already been homeschooling for two years. Therefore, I never had to wonder if I could homeschool a child on the autism spectrum – I was already doing it! A diagnosis merely gave me more understanding and tools to work with. For those considering homeschooling a child with autism for the first time, however, I can certainly understand how the thought of taking on such a challenge could be intimidating. Making the decision to take the path less traveled and homeschool a “normal” child can be scary in and of itself. Homeschooling a child with special needs definitely adds some complications, but it unquestionably can be done, and in many cases, may be the best parenting decision you make for your child. Autism impacts a child’s ability to think and learn in a typical way. A host of challenges present themselves in a traditional school program, including sensory, social and communications challenges, along with struggles accessing the necessary academic accommodations. . . Families indicate that homeschooling decreases the external stressors the child is exposed to in traditional school settings, and it relieves much of the anxiety . . .Homeschooling allows parents to directly address the core deficits of communication, social skills, social understanding, and organizational thinking, while providing functional academics that are real-world and experientially based. Those who do choose to homeschool will most likely need outside help of some type – whether that be behavioral counseling, speech therapy, physical therapy and/or other needed assistance. Every child is different and the needs are different. It is possible to get the help needed and to incorporate it into one’s homeschool life. My own son has been receiving behavioral counseling for over two years and it has made a tremendous difference in his behavior and ability to function in the world. It is also possible to arrange for appropriate social interactions – whether these be with other homeschoolers, who are usually very tolerant of children who are different in some way, classes at a library or community center, or other extra-curricular activities. Of course, there are also the very important social interactions that take place within a family, especially if there are siblings and grandparents involved. An educational program can also be devised that meets the particular strengths and weaknesses of the child involved. Those on the higher end of the Autism spectrum may need only minor modifications to a traditional academic program, while those who suffer with more advanced communication challenges may need to focus on practical life skills. The beauty of homeschooling is that there are an infinite number of options as to how an academic program and schedule is constructed. It can truly meet the needs of the child. Deciding to homeschool a child on the autism spectrum can be a difficult decision to make, and it isn’t for everyone. But, if it is something you are considering, it definitely can be done and done with remarkable success! 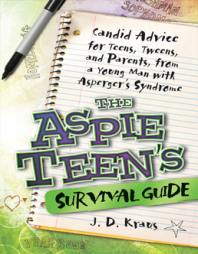 I picked up The Aspie Teen’s Survival Guide: Candid Advice for Teens, Tweens, and Parents, from a Young Man with Asperger’s Syndrome by J.D. Kraus because I have an eleven-year-old son with Aspergers. As we start to navigate those challenging tween and teen years, I need all the help I can get! 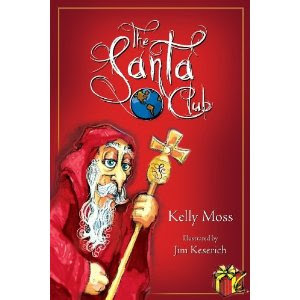 I read the book first with the intent of deciding whether I would let my son read it. In the end, I chose not to have him read it. This is because he is still very young in the whole tween/teen age range and much of the information does not concern him yet – he suffers from high anxiety as it is and doesn’t need to start stressing about issues that are still a few years away. 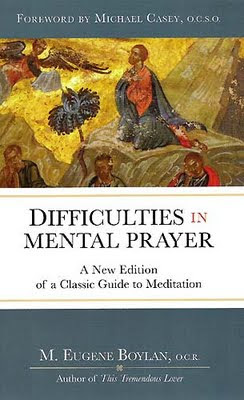 Also, the author is on some medications to help with anxiety and depression, and he discusses this. While they have proved helpful for him and I know that they certainly can be of use in certain situations, I’m trying really hard to not go that route with my son, focusing instead on counseling and behavioral therapy. Lastly, Kraus is very intelligent in all his academic subjects, whereas my son has some definite struggles and I think he might feel pretty badly about himself if he compared his academic life. However, that being said, as a parent, I found this book to be incredibly helpful and I would recommend it highly to any parent with an Aspie kid as well as any teachers who work with these children. It is always good to have these first-hand accounts of what it is like to live with this brain difference. I can’t be inside my son’s head, but books like this give me a window into his world. A large portion of the book deals with school-related issues. After reading this, I’m more thankful than ever that I chose to homeschool. Bullying (by both students and unsympathetic teachers) is a major issue and Kraus covers it well, offering suggestions on how to cope and report issues one may be having. The chapter that interested me most was the one on driving. I really wonder if my son will ever be able to drive a car. Kraus explained well how he tries to limit the stress involved in driving, and gave me some hope that my son may indeed be able to manage this with the proper training for unexpected circumstances. The chapter on dating was interesting as well. Overall, I found this to be a very informative book. Kraus is a young man, so he doesn’t have the perspective an older person might have, but what he does bring to the table is the immediacy of having just been in these situations. His memories haven’t had time to be softened. This world is as real to him as it is to our own children navigating it. 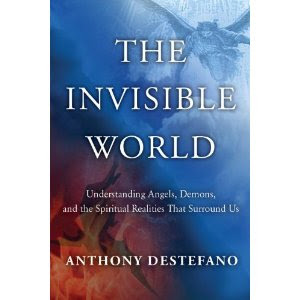 Anything that can help us understand how our Aspie kids see that world is of tremendous benefit. 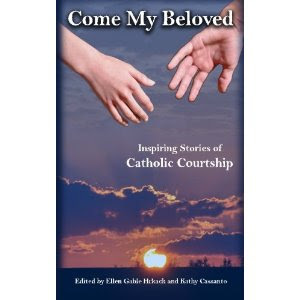 When I was asked to review “Come My Beloved: Inspiring Stories of Catholic Courtship,” I wasn’t sure what to expect. I find reading “courtship” stories difficult because my experience of dating was so far removed from that ideal. Yet, despite my hesitation, I found myself enjoying these love stories. Ellen Gable Hrkach and Kathy Cassanto asked a wide spectrum of couples to share their stories of how they met and came to the decision to marry. There are couples of all different ages, from different locales, and different backgrounds. Those who are familiar with Catholic writers will recognize the names of Sarah Reinhard and Regina Doman. It is a joy to read their stories. What all these courtships share is prayer to meet the right person before marriage and a commitment to live a married life centered on Christ. That doesn’t mean these couples didn’t experience hardships along the way. There are times when the woman wanted nothing to do with the man at the beginning, but the man’s persistence ultimately paid off. There are couples who had to struggle with being from different faith traditions and long-distance relationships and exploring a religious vocation before committing to marriage. There is one couple that married after both lost their spouses. 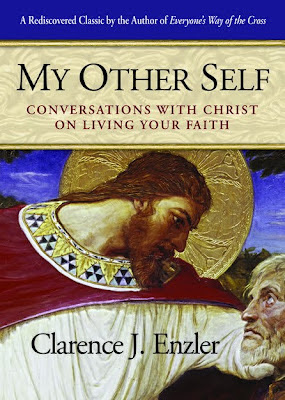 This book is an enjoyable read for anyone who likes a good love-story (made all the more enjoyable because they are true life.) I think that it’s best purpose would be for teens starting to think about finding that special person. 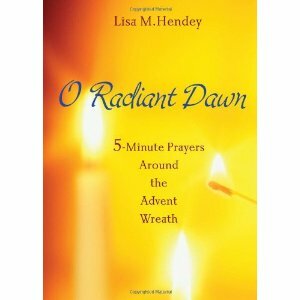 It would offer them hope and encourage them to seek to have a relationship rooted in God. This book gives me hope for my own children, that perhaps they can experience these types of relationships. 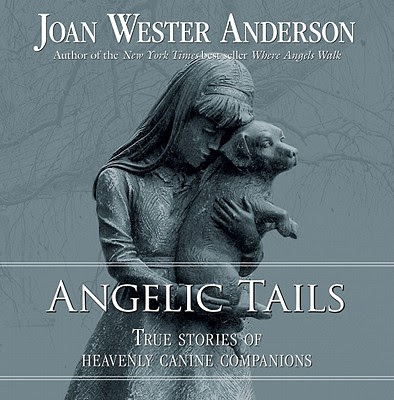 The stories in these pages truly bear witness to the idea that God uses dogs to help us. One dog alerted it’s family to a fire that was about to start in an electrical outlet. Another appeared at a house and stood guard the very night that an escaped killer decided to camp out on their property. A lost toddler was saved because the family dog refused to leave her side. Still another guided a neighbor family safely home through a blizzard. Our canine companions bring us love and devotion and companionship. It is possible that in times of need, they may also save our lives. After reading this book, you will never look at a dog in the same way.